ROTOSOUND MUSIC STRINGS NEWS | Long life of Rotosound! I’m 66 years old and have been playing bass since the early ’60s. Recently, while sorting through some old cases in my loft, I came across an unused set of Rotosound Jazz Bass Flatwounds that I must have had since the early ’70s – I see from your history that the design of the packets was changed in 1969 to the ones I have, and one of the packets has £6.20 (altered by hand from £5.20) written on it, so that would mean I bought them just after decimalization in the early ’70s. 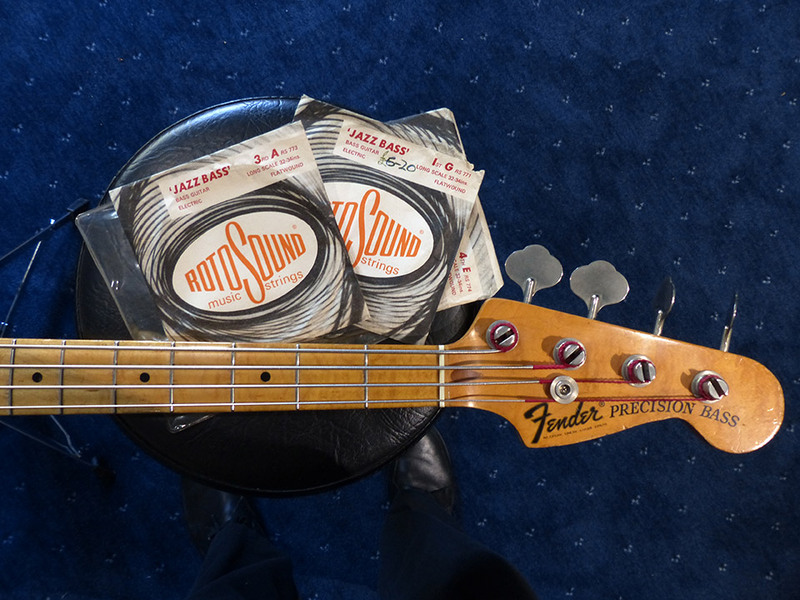 As I have a 1972 Fender Precision Bass I thought I would put them on the bass – they sound great!